"We make it clear that since we have not found it to be a good ground for adjournment, under no circumstances, application for restoration shall be entertained." The Supreme Court observed that non availability of the counsel or he being out of station is not a ground to seek adjournment. 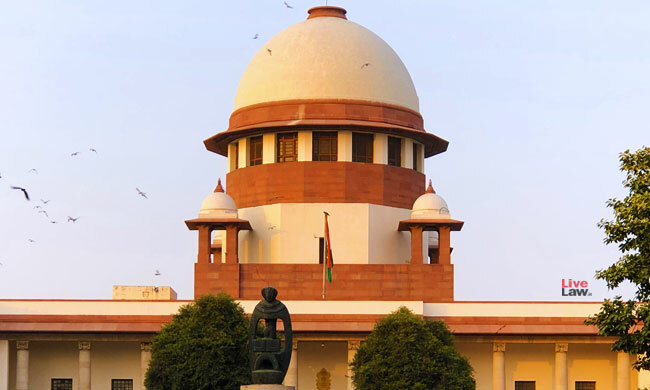 Last week, when an appeal was called for hearing, a counsel appeared on behalf of the counsel for the appellant and submitted before the bench headed by Justice AK Sikri that the concerned counsel was not present in the Court. When the bench further enquired, it was told that the counsel was out of station. This is no ground to seek adjournment. We therefore reject the request for adjournment." said the bench and asked the counsel to argue the case. The counsel told the court that he had no relation with the case. The bench, also comprising Justice S. Abdul Nazeer and Justice MR Shah, not only dismissed the appeal for non prosecution, but also made this observation: "We make it clear that since we have not found it to be a good ground for adjournment, under no circumstances, application for restoration shall be entertained." Where the illness of a pleader or his inability to conduct the case for any reason, other than his being engaged in another Court, is put forward as a ground for adjournment, the Court shall not grant the. adjournment unless it is satisfied that the party applying for adjournment could not have engaged another pleader in time. The Cause list of the Supreme Court start with this disclaimer: It will be appreciated if the learned advocates on record do not seek adjournment in the matters listed before all the courts in the cause list. It seems that there are no specific rules guiding grant of adjournment in the matters before Supreme Court. In 2014, the supreme court had issued this circular: "[…] henceforth the counsel/parties-in-person seeking adjournment of the mattering in the final cause list, shall now submit a letter/request, after getting the same noted by the counsel for the other side with assistant registrar (listing) for circulating the same to the Hon'ble court at least two days in advance from the appointed date of listing/hearing." In December 2017, a bench headed by Justice J Chelameswar had slapped cost of Rs 50,000 on a litigant for adjourning a case. Even earlier, a bench headed by Justice Dipak Misra had observed that the virus of seeking adjournment should be controlled. Recently, Madhya Pradesh High Court observed that seeking adjournments for no reason by lawyers amounts to professional misconduct.